Yet despite the fine words, the central African leader’s government “routinely use threats and legal prosecutions to curb critical reporting,” according to Freedom House, a U.S.-based human rights group. In the case of Makaila Nguebla, a magazine reporter turned dissident blogger, that effort has included efforts to intimidate him even beyond Chad’s borders. Nguebla hasn’t set foot in Chad since he left to study in Tunisia in 1999. But that hasn’t stopped Déby, who extended his 26-year rule after April elections, from having Nguebla deported from two other African countries. 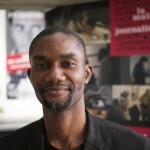 Most recently, he was expelled from Senegal and eventually found asylum in France with the help of Reporters Without Borders and Amnesty International. Nguebla maintains a popular blog on news about Chad called “Makaila, plume combattante et indépendante” [Makaila, a combative and independent pen]. He spoke with Global Journalist’s Louise Hemmerle about being twice exiled, the government’s efforts to win him over and Déby’s election to a fifth term in office this year. Global Journalist: Tell us about how your exile from Chad. Nguebla: I left Chad to go study in Tunisia in 1999. I started writing articles for the weekly magazine Jeune Afrique about the situation in Chad. I did this to raise awareness among students about human rights, democracy and bad governance under President Déby’s regime. This is why, in 2005, Chad asked Tunisia to deport me. From 2005 to 2013, I was in Senegal. I had filed an asylum request there to protect me from Chad’s government. 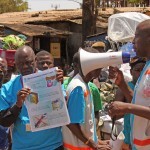 I worked for broadcast radio in Dakar where I anchored a program about migration issues, and I created my blog in 2007. 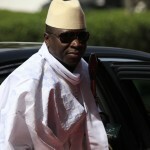 At the same time, I was also studying to obtain a degree in journalism and communication in [Senegal’s capital] Dakar. 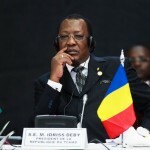 GJ: What led to your opposition to Déby’s government? Nguebla: When Déby first took power in 1990, he gave great hope by saying that he was bringing a gift to the Chadian people that was neither gold nor silver, but freedom. We were just out of the dictatorial regime of Hissène Habré, who had been in power for eight years and who had committed massive human rights violations. 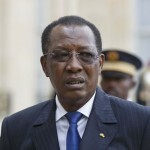 But I quickly realized that Déby’s methods were the same as those used by Habré: an ethnic-based army, bad governance and the persecution of human rights activists like Joseph Behidi, a founder of the Chadian Human Rights League. 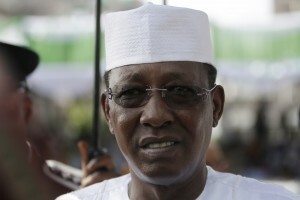 I blame Mr. Déby for Chad’s democratic deficits, human rights violations and the lack of power sharing. I had several offers [from Déby’s government] to go back and take high-ranking positions, even at the cabinet level. But I believe in universal values, the fundamental rights for the rule of law. In Chad, these values are not upheld. GJ: Why did Déby want to bring you in to his government after you’ve been so critical of him? Was it to silence you? Nguebla: Of course! This is a tradition in Chad. 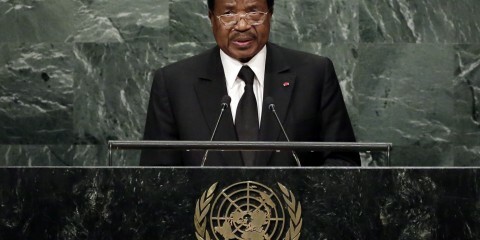 Whenever someone raises his voice to denounce something – for example there are some Chadian lawyers and journalists on the ground who were active in human rights and were either bought or absorbed by the regime. It is a common local practice. You get offered a high position, a car, and you change sides. But I am not among those in Chad whose conscience has been bought by the regime. I hope that one day, this fight that has been mine will be supported by the international community, which is currently giving considerable support to the Déby government as part of the fight against terrorism in the region. 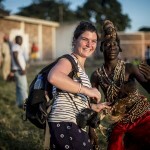 GJ: How important are blogs in Chad? Nguebla: The Chadian blogosphere has been badly hurt by censorship…the remaining blogs based in Chad have moderated their editorial line, and are more conciliatory towards the regime. There isn’t really any activist journalism, and what I do is activist journalism. Today the internet has become an important tool for mobilizing. And it looks like Déby is afraid of the internet because he is aware that the autocratic regimes of [Tunisia’s] Ben Ali, [Egypt’s] Mubarak and [Libya’s] Gadhafi have fallen thanks to the mobilization power of the internet. They cut internet service on [Chad’s election day] April 10 and on April 21, when the provisional results of the presidential election were announced. The government very simply wanted to prevent any form of mobilization after the announcement. GJ: Will you return to Chad in the future? Nguebla: Things absolutely have to change, and I feel that with Mr. Déby in power, I don’t see how I could go back. Going back to Chad right now is not on the agenda; the fight is going to continue.